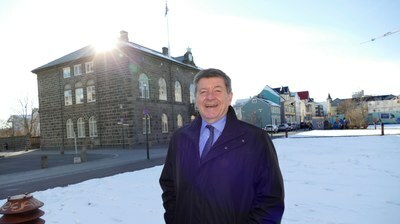 Apr 12, 2019 Why does the Director-General of ILO choose Iceland as one of his last stops before the organisation’s centenary celebrations kick off? Why Reykjavík and not Paris or Rome? Apr 12, 2019 There was a positive atmosphere as the ILO Director-General and representatives from the Nordic ministries of labour gathered in Iceland to discuss the challenges around the future of work. The Nordic model has proved to be adaptable to rapid and major change before, and the development of new technology is something people can actually control. Apr 12, 2019 Society treasures resources and power more than anything. If we do not deal with economic inequality we will get nowhere, said the leader of the Icelandic trade union Efling, Sólveig Anna Jónsdóttir, during a panel debate at the Nordic conference The Future of Work, held in Reykjavik between 4th-5th April. 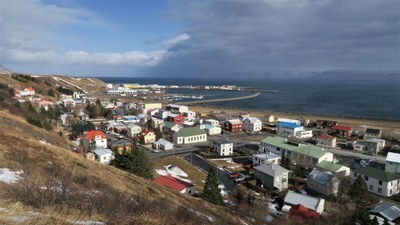 Apr 12, 2019 From Reykjavík in the south to Sauðárkrókur in the north – companies across Iceland are introducing the equal pay standard which aims to eradicate gender pay gaps. But the reform also faces criticism from some who say it restricts employees’ opportunities to secure pay increases and bonuses. Digitalisation and new forms of employment: what’s happening under the surface? Apr 12, 2019 We have yet to see dramatic change to the way people are employed in the Nordic region as a result of digitalisation and new ways of organising work. But the nature of work will change nevertheless. This could lead to conflicts of interests and friction between different work groups, says Fafo researcher Jon Erik Dølvik. He heads a major research project which will inform Nordic governments and the ILO. Apr 12, 2019 Since Iceland introduced nine months parental leave with three months earmarked fathers, their participation in childcare has changed radically – in a good way. Mothers return to work earlier, and get back to working ordinary hours faster. Daddy leave has been the main driver in this development.